The manner of birth should not matter when it comes to basic civil rights for abortion survivors. As the November political campaign heats up, Gov. 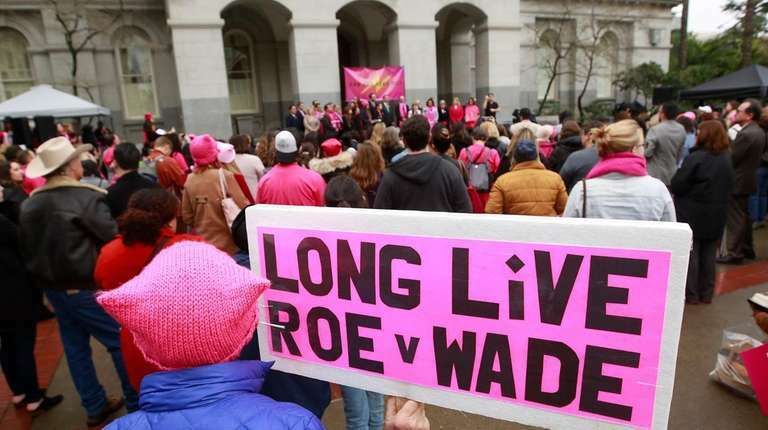 Andrew M. Cuomo is urging lawmakers to return to Albany and vote to codify the Supreme Court’s decision in Roe v. Wade, which held that a woman has a right to terminate her pregnancy before fetal viability and that states must allow abortion thereafter for any health reason. While Cuomo is unclear on exactly what codification means, the only proposed legislation he has supported is the Reproductive Health Act. Make no mistake. The RHA is not a mere codification. What masquerades here as a mere codification of Roe v. Wade goes far beyond the right to terminate pregnancy. It includes an additional right to terminate the life of a late-term infant who survives abortion. This looks a lot more like infanticide, and it has nothing to do with giving women control over their health or reproductive decisions. New York law provides that when an abortion is performed after the 20th week of pregnancy, a physician other than the physician performing the abortion must be available “to take control of and provide immediate medical care” for any infant born alive following the abortion. The proposed legislation dismantles the existing legal and medical protections for infants born alive in late-term abortions by simply repealing Public Heath Law 4164. An infant who survives a late-term abortion in New York is on his or her own, and presumably, he or she would be left to die. Is the intent underlying this dismantling an attempt to abandon the child and prevent health care workers from saving lives? It seems to be. Will women be informed about the potential for this cruelty when they consent to late-term abortions? How can denying health care to infants who survive late-term abortions possibly be construed as giving women control over their health and reproductive decisions? While the infant who survives a late-term abortion may well be unwanted, this hardly means that she should be abandoned and left to die. New York law protects the lives of unwanted, abandoned newborn infants through the Abandoned Infant Protection Act. This law allows a parent, guardian or other legally responsible person to abandon a newborn infant up to 30 days of age anonymously and without fear of prosecution if the infant is left in a suitable location. Does it make sense that our laws would protect those infants dropped off at hospitals or firehouses but not give any medical help to infants who are born alive following late-term abortions? The proposed Reproductive Health Act cuts too deep an incision when it denies medical care to innocent abortion survivors. It is a tragic and unnecessary outcome under the banner of championing women’s control over their reproductive decisions. The manner of birth should not matter when it comes to basic civil rights for abortion survivors. It’s birth that counts. For example, under New York’s penal law, the term “person” when referring to the victim of a homicide, means a human who has been born and is alive. Despite gestational age, the infant born alive after a late-term abortion is entitled to the rights of all infants born alive. Think of all the noble efforts to care for pre-term infants that are now taking place in neonatal intensive care units in New York hospitals. Why should abortion survivors be deprived of the same medical care? Jacqueline Nolan-Haley is a professor at Fordham University Law School and is a member of the Pro-Life Commission of the Archdiocese of New York. Anne Nolte, a physician, chairs the commission.